Welcome to the Chrysler 300M Enthusiasts Club | Join Us Today! March Madness leads us into April and into the start of nice weather for many members. I considered announcing the murmurs of the re-release of the 300M for 2020 by Chrysler as an April Fool’s joke, but the more I thought about it, the more I loved the idea of the news and less of the joke. As a timeless design, it’s amazing that this car has stood the test of time and is still ‘running with the big boys’ 20 years later. No one ever believes me that my car is 17 years old. With all the luxury features it has and the work that we’ve all put in to keep them in nice shape, it is to be commended. So, I won’t try an April Fool’s joke on you all, but know we’re still driving on as a group! We’ve just posted our first Ride of the Month contest for 2019! As always, our early month’s contests are a bit delayed and a few contests get compressed into a shorter time period. This allows for our new Board of Directors to be seated and get plans in place for the year ahead. Keep your eyes out for all these contests which will bring us up to date and thanks for your participation! The 2019 Ride of the Month plaques have been ordered for this year’s winners! Also, be ready for the ROM process to change once the new committee decides the future of the contest. It will be exciting to see the future of this great event! We strive to keep the contest relevant and successful into the future. Our annual Board of Directors meeting is now complete – and what a success it was. We’ve got another great group of members who have volunteered their time this year to keep us moving. You can find the meeting narrative posted as well as an updated division of responsibilities for each director, and the approved 2019 budget in the members only section of the website. 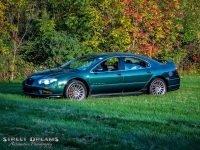 Ryan Severance (Sneke_Eyez) and Ken Wesley (KxWarrior) will be coordinating our Ride of the Month contests going forward. I know they’re going to set up some great contests and pull together a wonderful 2020 club calendar. Please consider participating! Carlisle will be here before we know it! As I’m sure you saw, we have a newly designed 20th anniversary logo for the celebration. It’s going to make for a great shirt and other club swag to celebrate the occasion. Be sure you’re registering to attend with Carlisle Events and booking your hotel room. We will have a food post coming up soon as well as information on t-shirts and awards. It’s going to be another great event showcasing the 300M! As custodians of so many of the remaining Ms in this world, we will celebrate for sure! At the end of the month there will be a small outing to the New York Auto Show. If you’re able, we’d love to meet and take in the newest trends in the automotive industry with you. Check out the event’s post and stay tuned for when and where we’ll meet. It’s always a great time and really cool to see what manufacturers are doing. The spring is always a busy time on the forum and I look forward to hearing from our membership about maintenance questions, modification ideas, and milestones! It’s always wonderful to hear what each of you are up to. As you’re working, don’t forget to take pictures and post them to your free photo storage (a great membership benefit!!). They’re often used to post on our social media and offer other members a great deal of help. 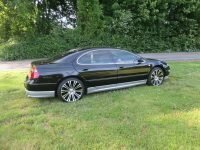 We love seeing your ride, a current project, and adventures of your LH! Not exactly sure how to post them? Don’t worry, there’s a great how to. If you’ve been reading these messages each month and find yourself continuing to return to the Chrysler 300M Enthusiasts Club page and aren’t a member yet, please consider joining us! It’s easy, inexpensive, and opens up some great resources and benefits to you. Please click here to join us! 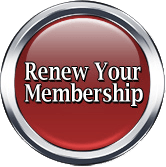 If you know your current membership will be expiring soon, be sure to renew here. You’ll be receiving a reminder just in case you forget to renew! Be part of the conversation. Check out our free forum. Click here to check out past Ride of the Year winners. Click here to check out past ROM winners. Click the picture above to view the 300M Enthusiasts Club memorial page. 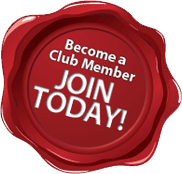 Interested in learning more about our club meets? Click the picture above and plan on joining us!